The Diabetic Network proudly publishes an extensive collection of lifestyle-oriented websites and publications. Information about our web properties and consumer publications appear below. For your convenience, all links will open in a new browser window. Since 1995, Diabetic Gourmet Magazine has been the premiere online magazine dedicated to diabetes related health issues as well as diabetic dining and cooking information. Diabetic Gourmet Magazine includes timely information throughout, with the most current news and most recently published articles and recipes on our homepage. From there, you’ll find links to exciting and resourceful departments and features such as interactive bulletin boards, recipe exchanges, nutritional databases, searchable recipe archives, and extensive information relating to diabetes, health and cooking. Satisfying, delicious food for family and friends! As the editors of Diabetic Gourmet Magazine, we understand that while people with diabetes must carefully monitor their eating habits, they still crave their favorite sweets and savory dishes. That’s why this collection of mouthwatering dishes includes healthy versions of crowd pleasers like potato skins, pot roast, veal piccata, macaroni and cheese, peanut butter cookies, banana cream pie, and pecan waffles. Each of the more than 200 recipes makes meal planning easy by including nutritional information and diabetic exchanges, making this cookbook essential for every health-conscious kitchen. Read more about our cookbook at “The Diabetic Gourmet Cookbook” Website or visit Amazon.com to order it right now at a discounted price. Whether it’s about an important drug recall or a new therapy or medical breakthrough, The Diabetic News keeps it’s subscribers well informed and up-to-date with the latest in diabetes-related health. News items include related issues of concern to people living with diabetes, as well as caregivers, such as high blood pressure, high cholesterol, heart disease, stem cell research, kidney disease, eye disease, and obesity. Delivered via email, each mailing contains the latest headlines, along with brief descriptions and direct links to the actual news item in it’s entirety. If a reader finds a news item of interest, then all they have to do is click the link to read it. It’s that simple — and it’s offered at no cost. “The Diabetic News” website at any time for access to an extensive, searchable archive of all of our news features. Again, this is a free service. You can learn more about this news dispatch, and subscribe for free, by visiting The Diabetic News website. The Diabetic Newsletter is considered by many to be the best diabetes-related newsletter available online. Sent every other Monday since 1999, each issue features diabetic recipes, articles, news about treatments, therapy, and medications, diabetes & health trivia, and useful information relating to cooking, health and diabetes. Whether you have diabetes, or you’re cooking for someone living with diabetes, or you’re just looking for healthy recipes, the “Daily Diabetic Recipe” can make meal planning easier and add variety to your menu. One great, diabetic-friendly recipe is sent each and every day to thousands of opt-in subscribers, complete with nutritional information and exchanges. 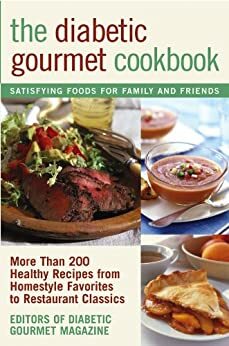 Even if you’re not a diabetic, this is still a great source for quality recipes, especially for people interested in eating healthier. It’s simple to sign-up and it’s FREE! You can subscribe right now by visiting the Daily Diabetic Recipe website (below).